So long, Shrek. Take a hike, Minions. The title of the biggest opening ever for an animated movie has just passed to Pixar, where—the Cars movies aside—it probably belongs. Finding Dory, the studio’s latest unqualified moneymaker, brought home $136 million this weekend, adding another smash to Disney’s unstoppable year and earning Pixar its seventeenth consecutive hit. Seventeenth! That’s better than Marvel. That’s almost as good as James Bond. That’s Mariah Carey numbers, folks. 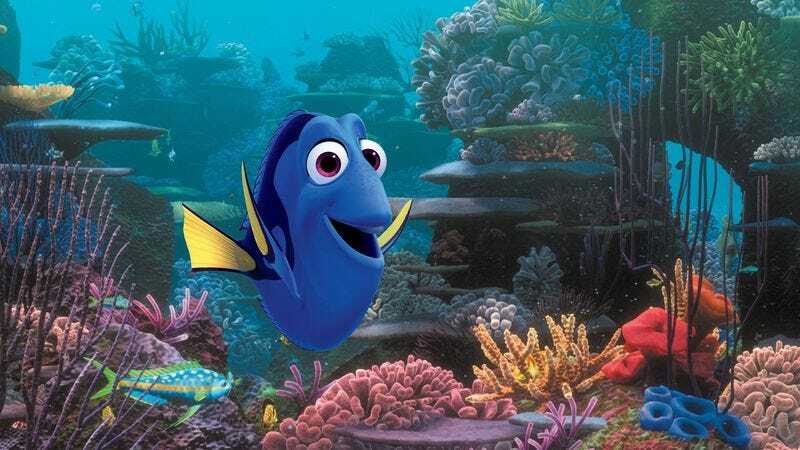 And if Dory keeps pulling in audiences of all ages, the high commercial bar set by its 2003 predecessor, last summer’s big animated hit, and even the studio’s all-time champ could be within reach. This could be Pixar’s “We Belong Together,” in other words. About $100 million separated Finding Dory from its closest competition, but don’t cry for Central Intelligence. The Dwayne Johnson/Kevin Hart buddy picture landed in second place with $34.5 million, presumably on the strength of that great tag line about a little Hart and a big Johnson. Good fortune didn’t trickle further down the charts, as last week’s new movies—The Conjuring 2, Now You See Me 2, and Warcraft—each lost more than half of their audiences. Warcraft suffered an especially steep drop, dipping 73 percent for a $6.5 million intake. We’d be calling the film a catastrophic failure were it not for its runaway success overseas, especially in China. Can a maritime-themed sequel be far off? Speaking of sequels: This week brings Independence Day: Resurgence, the latest follow-up in this summer of recycled attractions. Will ’90s kids give it a Jurassic World-sized reception or will the conspicuous absence of Will Smith keep the nostalgic away? Check back next Monday for the full report. And check back Friday for our review; as of this writing, Fox has scheduled no local press screenings—a bad omen as flagrant as a cold-clocked space invader.